You’ve probably caught on by now. Today’s blog is about the benefits of early rising, which the thought in itself might have just made you yawn. The thought of waking up before the sun comes up can be one of the most dreadful things you’ll think about today, or as Glen Cook would put it, “Morning is wonderful. Its only drawback is that it comes at such an inconvenient time of day.” But if you were to know that people like Thomas Jefferson, Oprah, Aristotle, Richard Branson, and Benjamin Franklin all were early risers, and attributed early rising to helping them be successful, maybe you can give it a shot too. Today we’re going to focus on the benefits waking up early has, and trust us, it does have many! Randler’s research also revealed that early risers are more likely to anticipate problems and minimize them efficiently. A 2012 study found that “morning-type individuals” are happier, and going on further to use waking up early as the differentiating habit that makes older adults happier than younger adults. 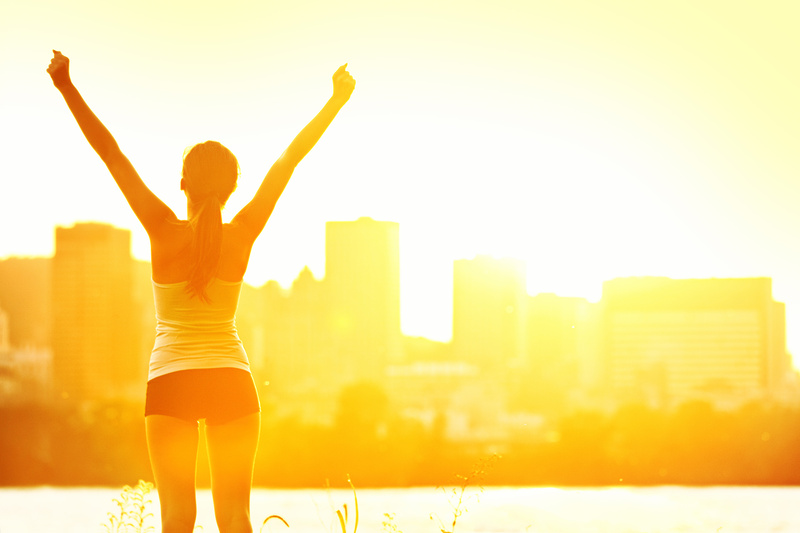 Early risers tend to make healthier decisions across the day. If you wake up earlier you have time to get in a morning workout, plus early risers are less likely to blow off a workout. In a study done by SLEEP, night owls found it more difficult to schedule a regular workout and stick to it. (The study also found waking up late was linked to being more sedentary.) Regular exercise boosts your mood and your fitness, while providing you energy for the day and especially your job. It also can create deeper sleep cycles. You probably didn’t know all of the things above, but waking up early has some obvious benefits that are worth going over too. You’ll have more time to yourself in the morning. You can read some in a book, stretch, do yoga, work out, plan out your week, watch the news, etc. You have time for it now! You can leave early for work and miss the heavy commute. And when you do get to work early, not only will it look good to your boss, but you’ll have quiet time where you can get more done. Doing this allows you not to have to bring work home with you and then you can relax more at home. Waking up early allows you to actually get better sleep! As you’ve always heard, “Early to bed, early to rise,” which puts your body in tune with the earth’s circadian rhythms and allows more restorative sleep. Are you an early riser or a night owl? Or have I completely exhausted you (pun intended) with all of this information? Or perhaps have I converted you to the morning life? If you’re ready to start the morning life journey check out this great article for some tips on transitioning from the snoozing world into early morning bliss!